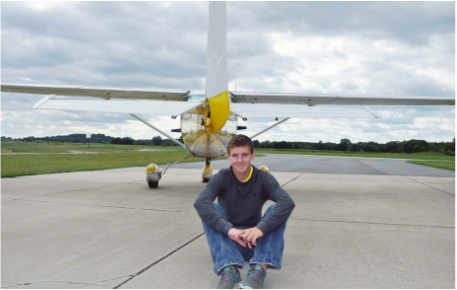 ​The President of Badger Aviators is a junior majoring in Finance and Political Science and is also a certificated private pilot. Sean is involved in aviation through multiple venues including volunteering at EAA’s annual AirVenture in Oshkosh, Wisconsin for the past four years and membership in Badger Aviators through his college career. Sean became involved in Badger Aviators as a freshman and has become qualified to lead the organization by working under past leadership where he learned how to make the organization flourish. Sean has taught the ground school for two semesters and will continue teaching it this upcoming school year. ​Our Vice President is a Legal Studies and Criminal Justice major who has assumed many leadership roles throughout her life. She has also shown a commitment to Badger Aviators through her dedication to getting members up in the air and expanding the club. Lizzy is currently a student pilot and hopes to get her license soon. Badger Aviators’ Secretary is a first generation pilot and was the youngest female private pilot in the state of Wisconsin at the time of receiving her license in August 2014. Her love for flying was ignited when her family hosted aerobatic pilot Sean D. Tucker. After a generous sponsorship, she completed her training and now looks forward to helping others achieve the same goal. Adi will spread her knowledge, passion, and experiences to our club members. ​​Badger Aviators’ Event Coordinator is a senior studying Management and Human Resources. Remi has been flying since 2011 and will complete her instrument rating and commercial license this year. She has also been enlisted in the Wisconsin Air National Guard since 2013 as an F-16 mechanic. Remi’s ultimate goal is to fly for her guard unit as her profession. She is determined to increase awareness, support, and participation in our organization. ​Our Treasurer is a junior studying Neurobiology. Izzy is enthusiastic about aviation and has found Badger Aviators to be a great place to express her passion for flying as well as a convenient way to connect with pilots. She hopes to earn her private pilot license in the future with the help of Badger Aviators’ resources. With strong organizational skills and dedication, Izzy is ready to manage Badger Aviators’ financial needs. ​Our Safety Officer is a third generation pilot who recently became a Certified Flight Instructor with a Sport Pilot rating. Luke loves teaching students how to fly and has done so with the highest regard for safety in mind. 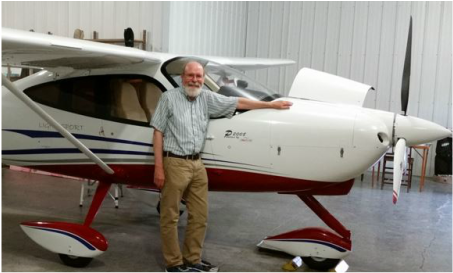 As an instructor, he is current with all FAA regulations. As the Safety Officer, Luke promotes a culture of safety in all our events. Our Webmaster is a first-generation pilot who had airplanes on his mind ever since he could talk. 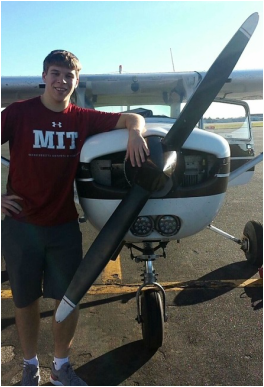 Eric obtained his private pilot certificate during his Junior year of high school and recently added his instrument rating. In this position, Eric is responsible for maintaining the website and adding content as necessary. Badger Aviators is a Registered Student Organization with the UW-Madison. The university requires that a faculty member monitor all club activities. Walt is present at most of the club meetings and serves as a sounding board for proposed club activities. Walt holds a private pilot certificate and owns his own plane.